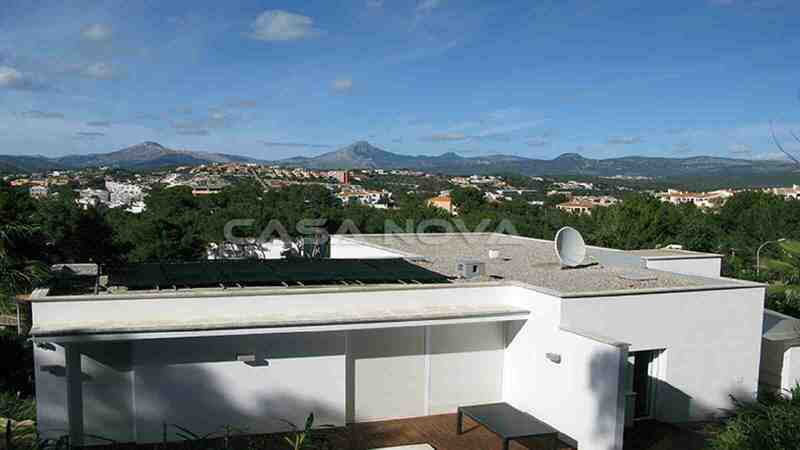 Real estate Mallorca: Modern Mallorca villa with panoramic views is in a popular location on the mountain of Santa Ponsa, in the southwest of the island. 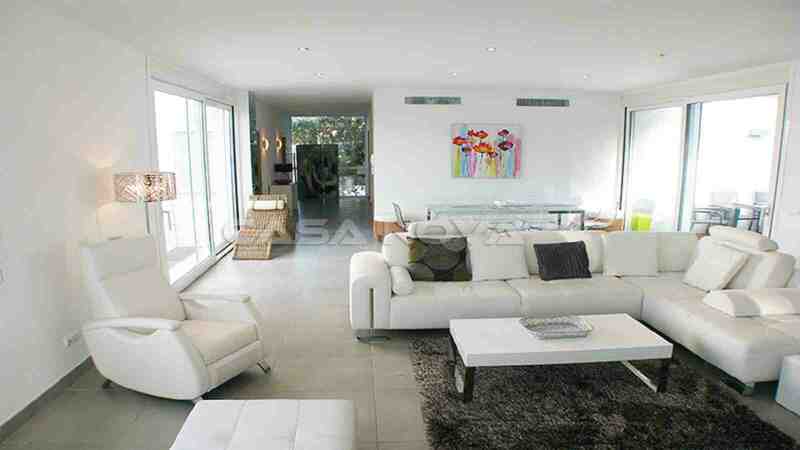 The villa lies on a generous property of 1.101 m2 and has a living surface of 405 m2. 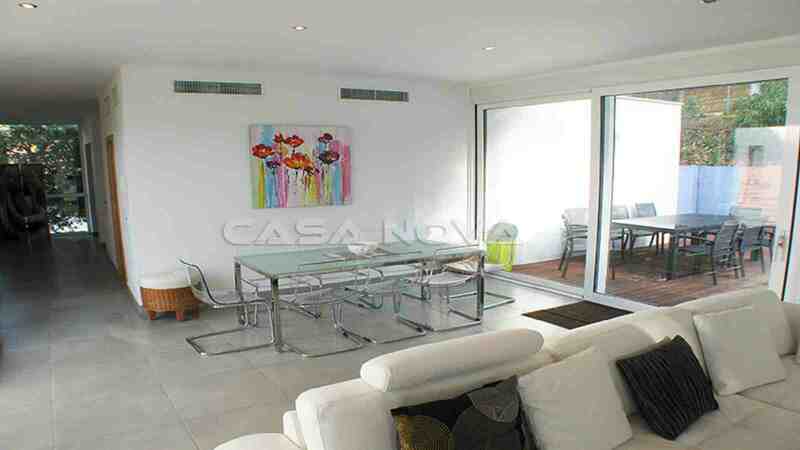 The residential eating area is Equipped modernly and offers enough place for the whole family. 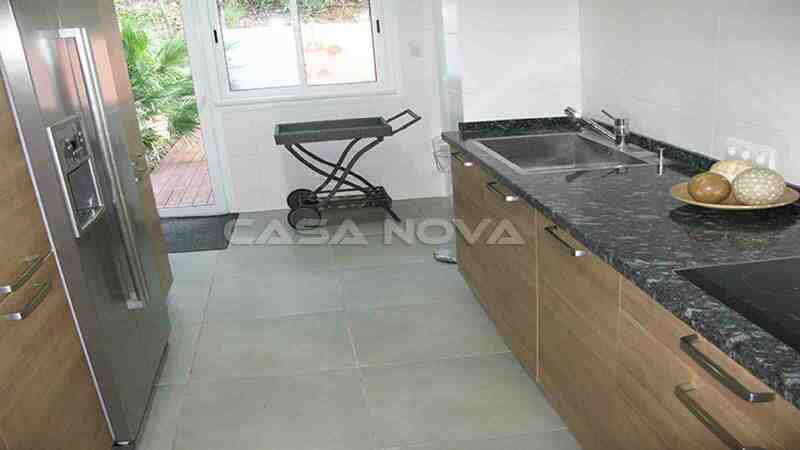 The full-equipped fitted kitchen with electrical appliances joins the living space. 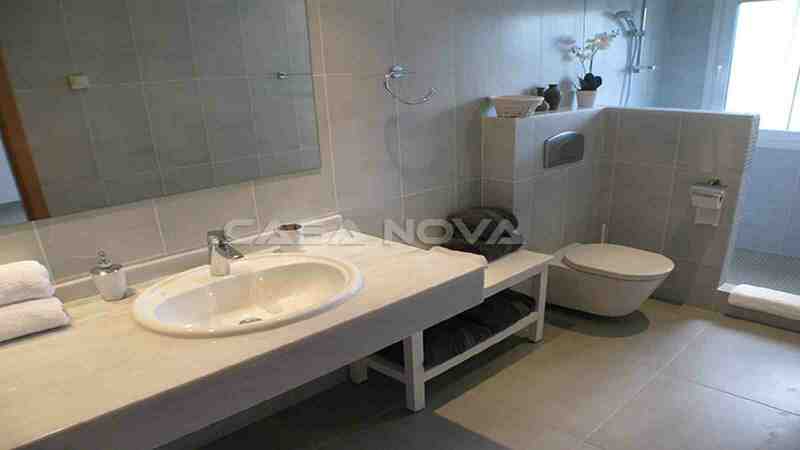 The real estate has 4 bedrooms and 4 bathrooms, all of them en suite. 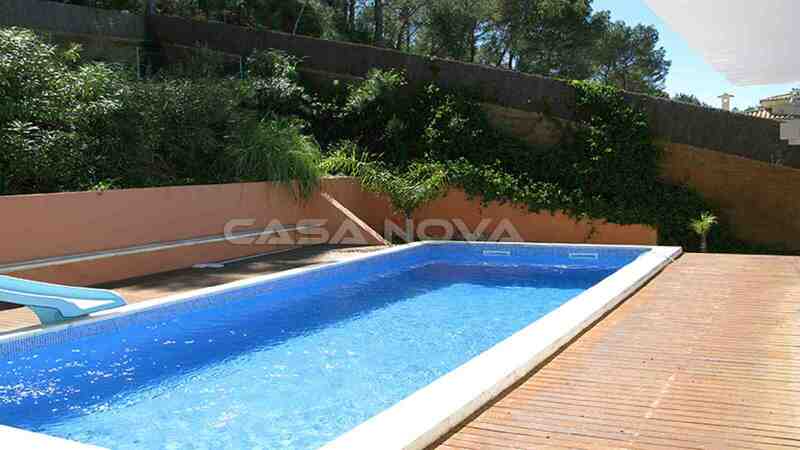 The villa with its terraces and the pool surface offers big privacy. Other equipment signs are: Company Toilet, house economic area, built-in cupboards, big pool of approx. 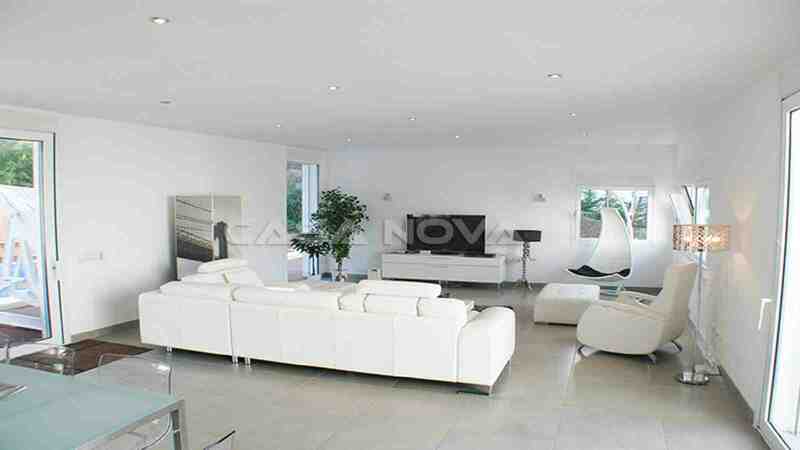 40 m2, under-floor heating, air-conditioning cold / warm, double-glazed aluminum windows, and a double garage with electric entrance and garages gate. 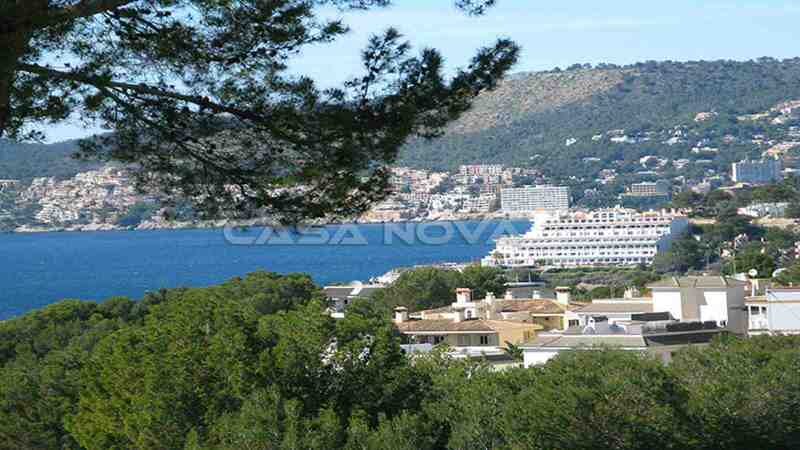 The center of Santa Ponsa is accessible in about 5 minutes with the passenger car. Here you have everything for the everyday need. Banks, assurances, supermarkets and shops, as well as German-speaking and English-speaking doctor centers and chemist shops are resident here. Also there are a huge number of restaurants and bars. The big sandy beach and a small bath bay invite to the swimming in the Mediterranean Sea. 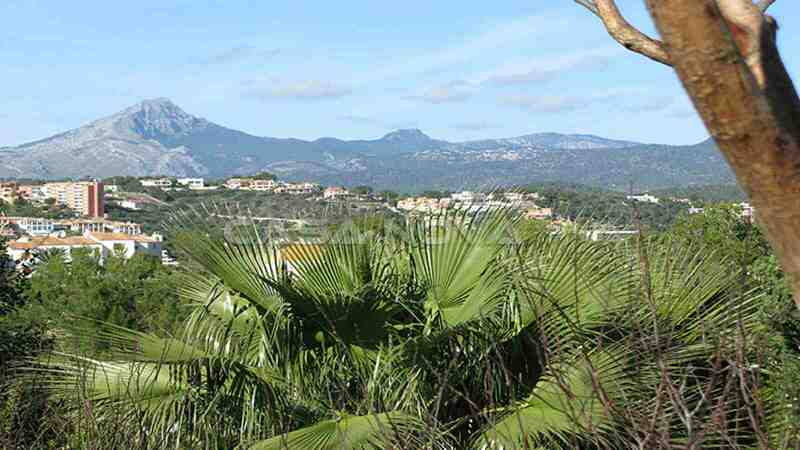 Several golf courses, yacht harbors, as well as different schools are also nearby and make a life not only for holiday purposes possible. The airport is accessible at approx. 30 car minutes - Palma, the capital of Mallorca at approx. 20 minutes. 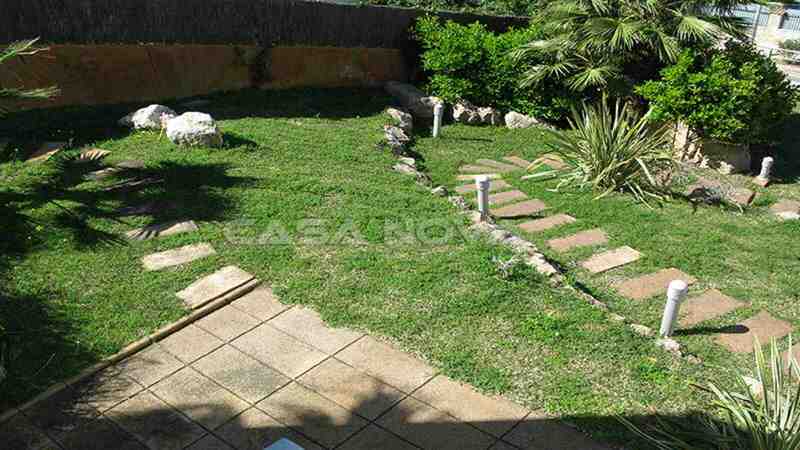 This very cultivated object is recommended you by your estate agent Mallorca, CASA NOVA PROPERTIES. 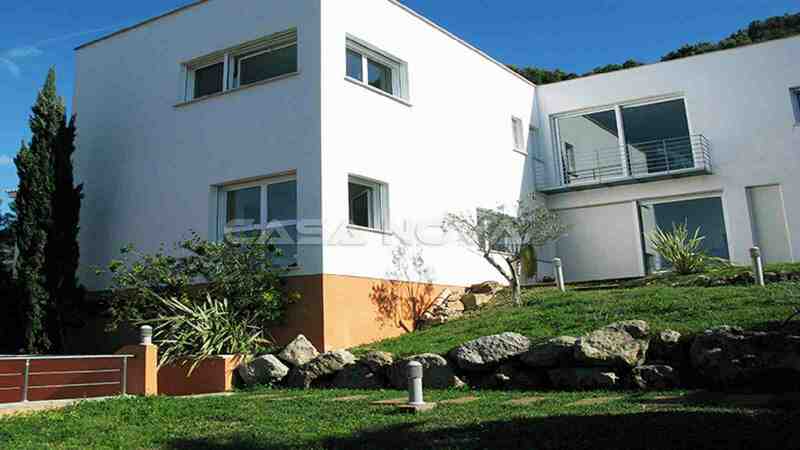 We offer you the biggest offer of dream real estate in this region. For the buyer originates no commission.